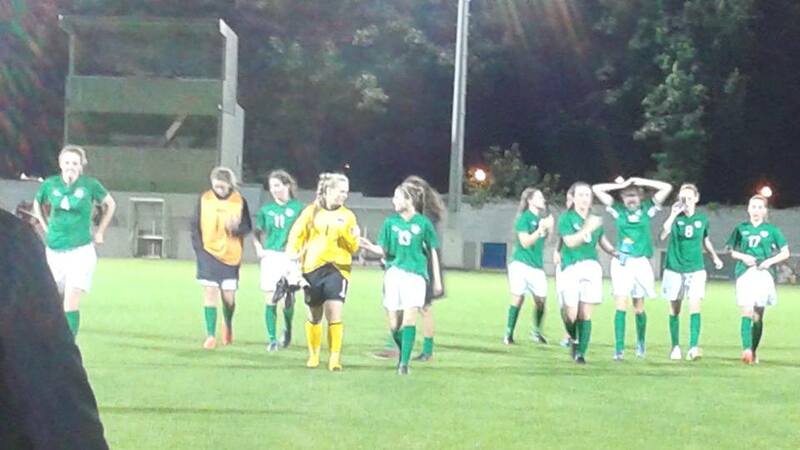 Nadine Ryan made her International Debut for Ireland U17s last night, when the girls in Green saw off Denmark 1-0 in an exciting game at Whitehall. Nadine, also a net minder with Shelbourne Girls lifted the All Ireland trophy last month with a fine display to help her team defeat Peamount in the Final. 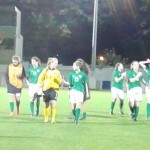 This story is more amazing than meets the eye, as Nadine only started to think about playing in Goal 14 months ago when she decided to attend a Just4Keepers Goalie Coaching Session in Dublin, whilst training here she was immediately spotted by a Shelbourne Coach and invited to join the Mighty Girls Soccer Club. To keep a clean sheet on your international debut is an amazing achievement and shows what can be done in a short space of time if you have the determination to work hard and improve. Nadine who attends Goalkeeper Training in North Dublin twice a week for two hour sessions each time is a true success story. Well done Nadine, keep up the hard work and determination to continue to improve.